TILE SHOW. MARCH 12TH 2011. PHILLY. Recording Soon for the Newest Limited Appeal 7". 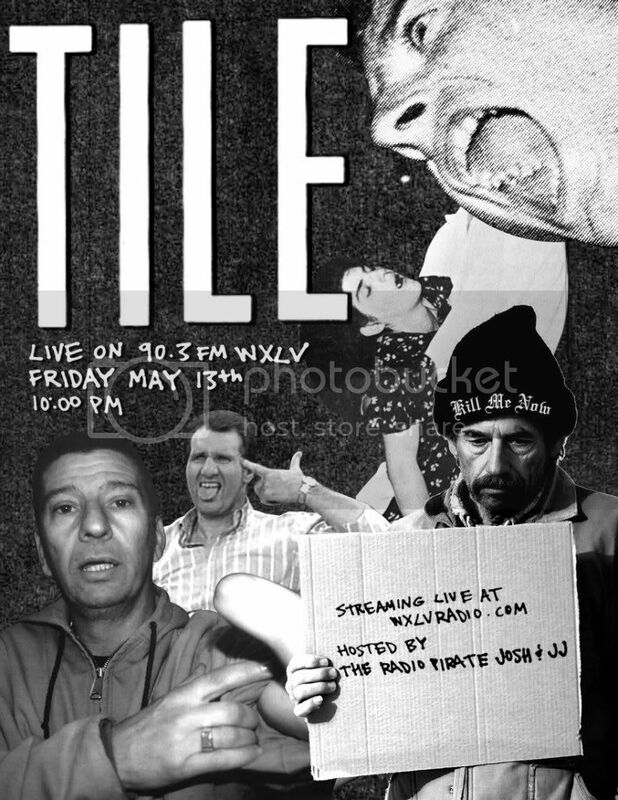 Big Things for tile in 2011.... keep a lookout creeps. YA HEARD? NEW TILE 7" BEING PRESSED AS I TYPE THIS! more info to come. Listen to the NEW Track - TOBBACO SPIDERS. POSTED ON www.myspace.com/tilenoise CHECK IT OUT! tile tracks for the new tile 7" are finished and ready to be sent out. Details to come, when you can pick this up.